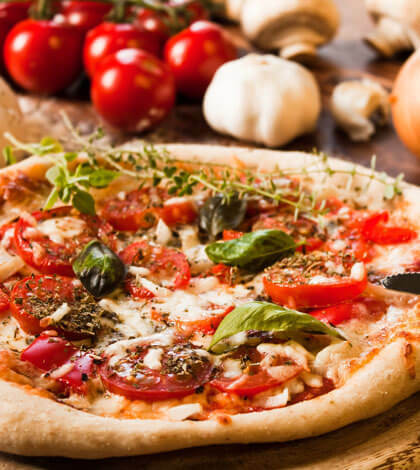 Who doesn’t love their margherita and pepperoni pizzas? If you crave for one at an unearthly hour, and are determined to make the healthier choice, the khakhra pizza is your best substitute! Put curd in muslin cloth and hang it overnight. Remove in a bowl and whip it finely. Break khakra into 4 equal pieces. Place hung curd, sprouts, chopped onion, capsicum and cucumber on khakra add tomatoes for decoration. Sprinkle salt and lemon juice. Chole Chaat- A Perfect Blend Of All Tastes!